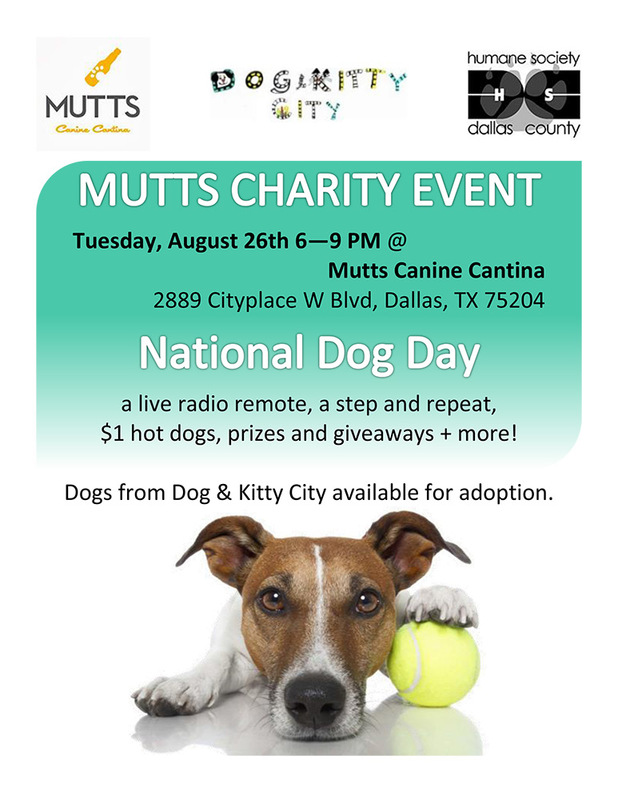 Mutts Canine Cantina in Dallas is hosting a party for National Dog Day on Tuesday, August 26th between 6-9 PM. They will have a live radio remote, a step and repeat, are offering $1 hot dogs, prizes and giveaways, and more! Some of our dogs will be available for adoption at the event. Mutts will donate a portion of their proceeds from the event to Dog & Kitty City of Dallas. We hope to see you there!